(Hunt Valley, MD) — (April 4, 2019) — Diamond Book Distributors, the industry’s leading source for graphic novels and a division of Diamond Comic Distributors, is pleased to announce that it has signed a distribution agreement with AHOY Comics. 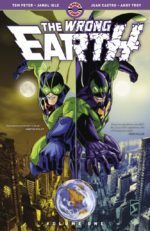 Diamond Book Distributors will exclusively distribute AHOY Comics trade paperbacks to the traditional book market, while Diamond Comic Distributors will distribute the books to the comic book specialty market. The independent, Syracuse-based publisher was founded by Hart Seely, an award-winning journalist whose work has been featured in The New York Times and on National Public Radio. 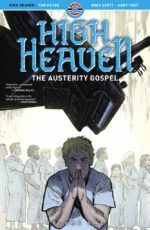 In recent weeks, AHOY Comics acquired the publishing rights to the controversial comic book series, SECOND COMING, the satirical comic book series in which Jesus Christ resumes His Holy Mission. In the series by The New York Times bestselling writer Mark Russell and acclaimed artist Richard Pace, God commands Earth’s mightiest superhero, Sunstar, to accept Jesus Christ as his roommate and teach him how to use His power in a… more powerful way. SECOND COMING will be released on July 10, ahead of San Diego Comic Con and following the release of the HIGH HEAVEN trade paperback. Timed to today’s announcement, AHOY Comics officially announced the release dates for its first three trade paperback collections. 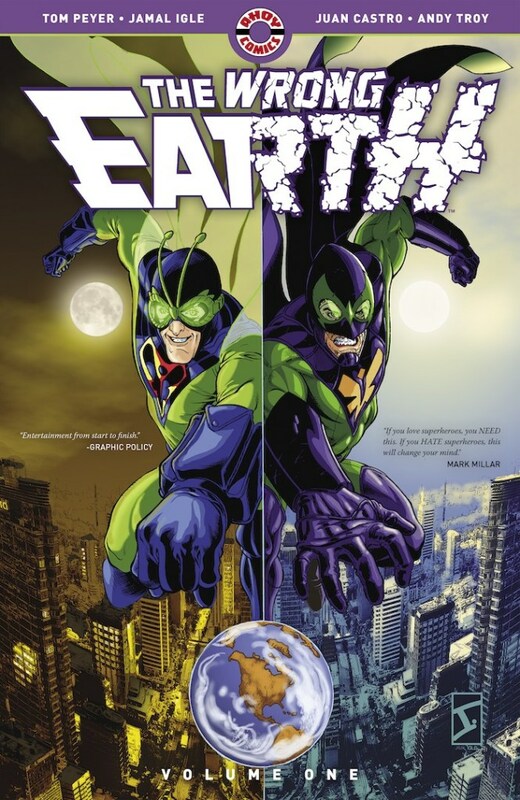 THE WRONG EARTH, the acclaimed superhero satire that introduced fan favorites Dragonfly and Dragonflyman, will be available in book form in comic stores across the country on May 1, ahead of the release of the company’s Free Comic Book Day title entitled DRAGONFLY AND DRAGONFLYMAN #1. By writer Tom Peyer, penciller Jamal Igle, inker Juan Castro, colorist Andy Troy and letterer Rob Steen. Featuring extra content by Paul Constant, Frank Cammuso, Gary Erskine, Tom Feister and others. Introduction by Tom Scocca. On dark, gritty Earth-Omega, masked vigilante Dragonfly punishes evil maniacs and evades corrupt authorities. On sun-splashed Earth-Alpha, costumed crook-catcher Dragonflyman upholds the letter of the law. Now they’re trapped on each other’s worlds, where even the good guys don’t share their values! This volume also collects all the original Stinger, Dragonfly and Dragonflyman backup stories, plus extra behind-the-scenes features. By writer Stuart Moore, penciller June Brigman, inker Roy Richardson, colorist Veronica Gandini and letterer Comicraft. 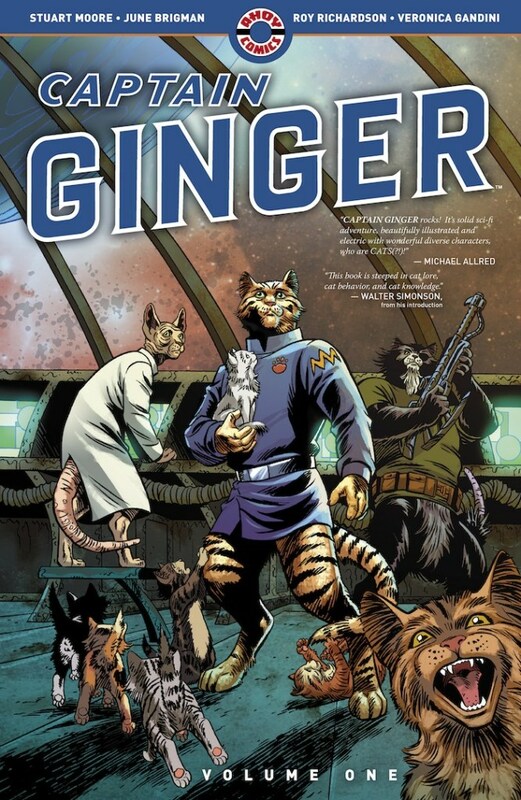 Now in one volume: the acclaimed tale of a starship run by cats! 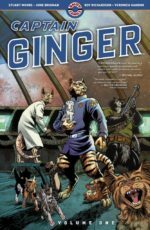 The intrepid Captain Ginger struggles to keep his fellow felines united against a hostile universe—and their own worst feline instincts. Featuring the entire original miniseries, plus two rare extra stories and a sketchbook of character designs. Introduction by Walter Simonson (Thor, Ragnarok). By writer Tom Peyer, artist Greg Scott, colorist Andy Troy and letterer Rob Steen. Covers by Richard Williams. Collecting the acclaimed tale of chronic malcontent David Weathers, who dies and goes to Heaven—where everything is terrible, and everybody hates a complainer. A savage satire by writer Tom Peyer (Hourman, Batman ’66) with art by Greg Scott (Black Hood, X-Files). Features the entire five-issue series plus a bonus illustrated script feature with commentary by Peyer.